You've probably read the statistics before, 40% of all engagements happen between Thanksgiving and Valentine's Day. So, if you do weddings you're getting ready for an important time of year. It may not be the busiest in terms of gigs, but it's important in terms of getting future gigs. $200 credit on GigMasters. From photo booths and photographers to celebrity impersonators, bands, and DJs we have thousands of ways to create great photo moments. 50 Photo Save the Dates courtesy of Wedding Paper Divas (an $80 Value). The winning couple can choose the style that works best for them. They'll stay on time for all their wedding appointments with this fun InstaWatch from May 28th ($45 value). This unique accessory lets you choose your band and then insert the photo of your choice for a one-of-a-kind time piece. Letting your engaged clients, or potential clients, know about contests like this is a great way to show them that you're up-to-date on what's going on in the wedding world and that you can be a great wedding planning resource. 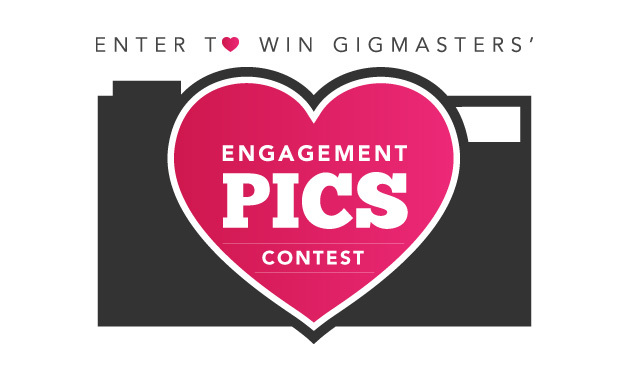 For complete rules, regulations and how to enter, visit our Wedding Blog.